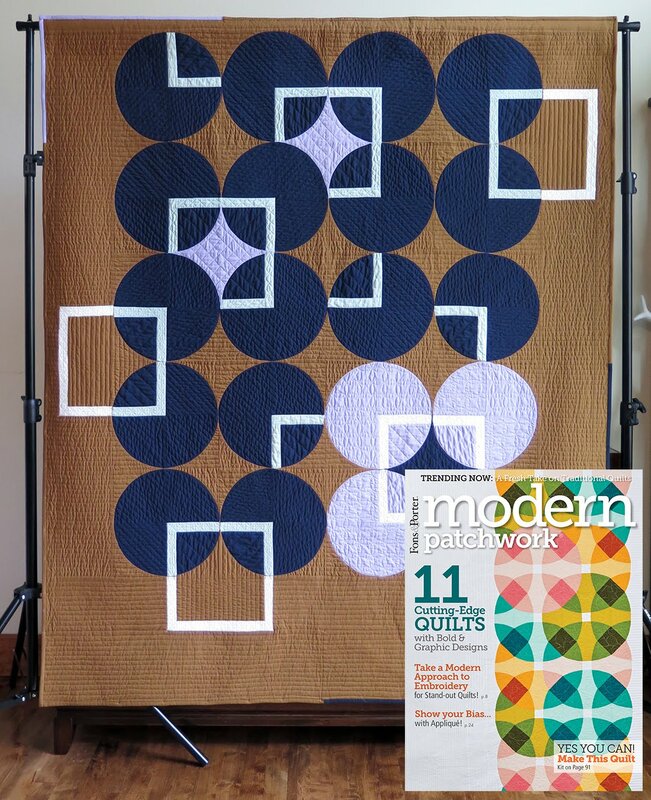 I'm so excited to announce that I have a quilt/pattern in the most recent issue of Modern Patchwork. The Sep/Oct issue is available for purchase in paper and digital formats HERE. I started this quilt back in January and shipped it off to the publisher in March so it has been really hard to keep the secret this long. 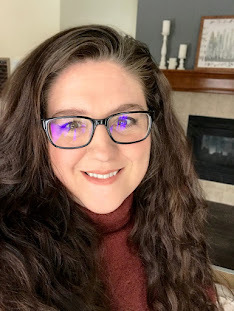 It all started with giving myself two challenges: 1) Work with a new color palette 2) Make brown modern! This is the third time I've worked with the team at Modern Patchwork and I just really appreciate how easy they are to work with, very professional and friendly. 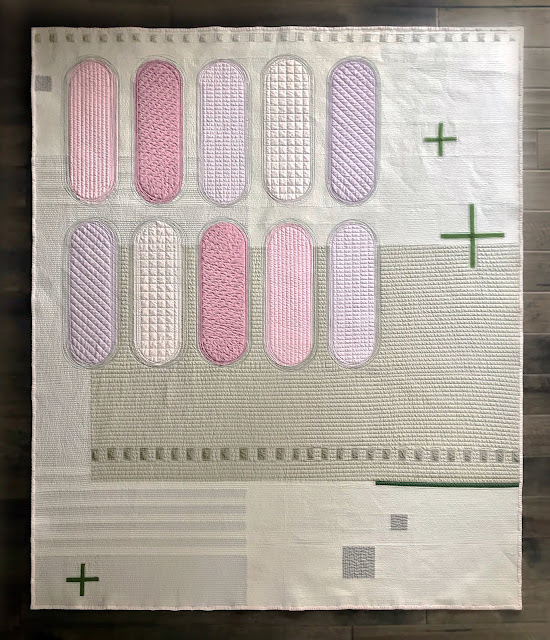 I had actually given my quilt another name but the editors thought there may have been a copyright issue, evidently someone else has used the title Norwegian Wood, sheez ;) but they took time and renamed my quilt to Scandinavian Pathway and it's perfect! I've mentioned before that naming my quilts is the hardest part. I'm seriously considering using a number system in 2018. I'm starting to get a comfortable with with quilting and starting to see that I have a "style." 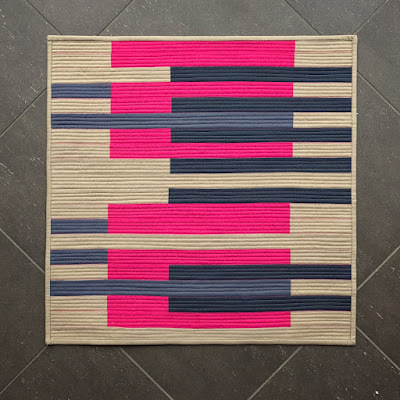 I definitely use horizontal and vertical lines to build a foundation for the more detailed quilting. I think that giving myself a challenge with this quilt made it what it is and I am very pleased with the finished product. Plus, I got to do two things I really love, make a quilt and write another pattern. Every year in Spokane the Washington State Quilters put on a quilt show at the fairgrounds and this year my guild, Inland Northwest MQG, will have an information booth. 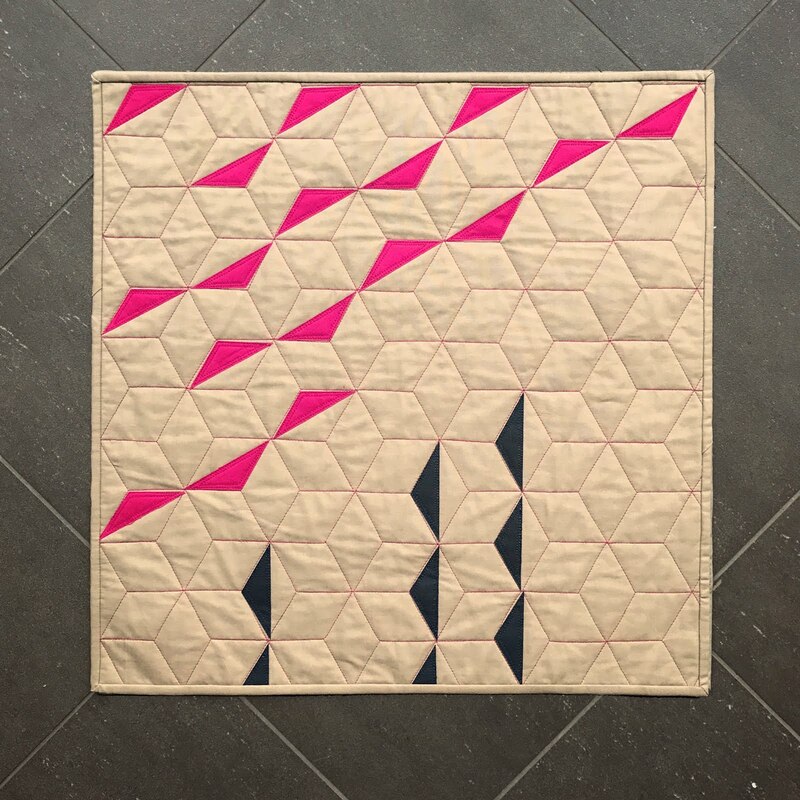 We've asked our members to create 20" x 20" mini quilts to hand in the booth. I decided to do two for the challenge. Each mini needed to be 20" x 20" using Kona Cotton Stone and Valentine along with one other color of our choosing that can be in varying shades, I chose blue. I can't wait to see what everyone comes up with the ladies in our guild are very talented it should make the booth stand out. Right now I have 10 quilts out and about in shows around the world. The next show up is Quilting Expo. All's Fair in Love and Board Games is in a modern mini quilt exhibit there. Hopefully I'll get a peek of it via social media since I won't be able to attend. Wow! Dare I say I love everything you make?! Love that you 'made brown modern' - and there's such wonderful movement in your design. Really lovely. Congratulations again on a beautiful design! It's really stunning! I feel very lucky to be in a group with such talented people as yourself. You set the bar high! Beautiful work! Thanks Mickey! 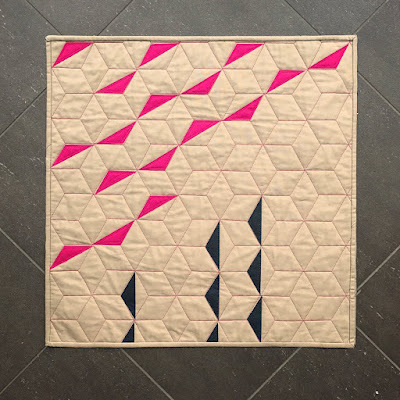 I can't wait to see everyone's mini quilts. Gretchen was doing hers at sew day and it was pretty amazing. P.S. I LOVE your original quilt title Norwegian Wood - perfect choice and one of my favorite songs. These are all amazing. You've made brown look so cool! Thank you! I think brown gets a bad rap. It's not my favorite color, I love bright pink, but brown has potential.